The most important question to start with is whether your finished project is intended for indoor or outdoor use. Hardwoods are the obvious choice for outdoor use, but it is worth remembering that certain softwoods such as pine can also be suitable once treated. When choosing a timber to use outside, consider how much direct sunlight it will receive, how much rain it may be exposed to and whether it will be in direct contact with the ground. Timber can be chemically treated to prevent rot, but some woods do have a higher natural resistance to decay than others, such as European Oak, and West African Hardwoods Idigbo and Iroko. The type of timber required for indoor projects is far more varied, and both soft and hardwood can be used, depending on your requirements. Sturdy and structural items such as banisters or flooring demand harder timber such as oak or beech. Softer woods such as pine are often used for furniture that needs to be lighter such as cupboards and doors. In order to decide whether your timber will require treatment, consider whether it will be exposed to the elements, what kind of finish you want to achieve and the maintenance it will need. For projects such as outdoor decking, the Malaysian hardwood Balau is a popular choice as it can be used bare.Although the colour of the timber does naturally change over time and take on a weathered grey appearance, this is the most maintenance-free method thanks to its high resistance to rot.Other hardwoods can benefit from using topcoats or preservative treatments that include water resistance and UV protection. ThermoWood® is one of a new generation of woods that have been treated without chemicals, making them an environmentally friendly choice. ThermoWood has been thermally modified to ensure excellent durability, improved dimensional stability, and insulating qualities. Whatever you are creating, it is important to choose the correct timber. Although the visual appeal of your finished product is an obvious priority, it is also worth considering the workability and price of the timber. Redwood pine is commonly used for woodworking and joinery projects, thanks to the ease in which you can cut, plane, and sand it. American white oak is also popular thanks to its smooth finish. Walnut is a favourite of many furniture makers, as it is easy to machine and provides a real 'quality' appearance. 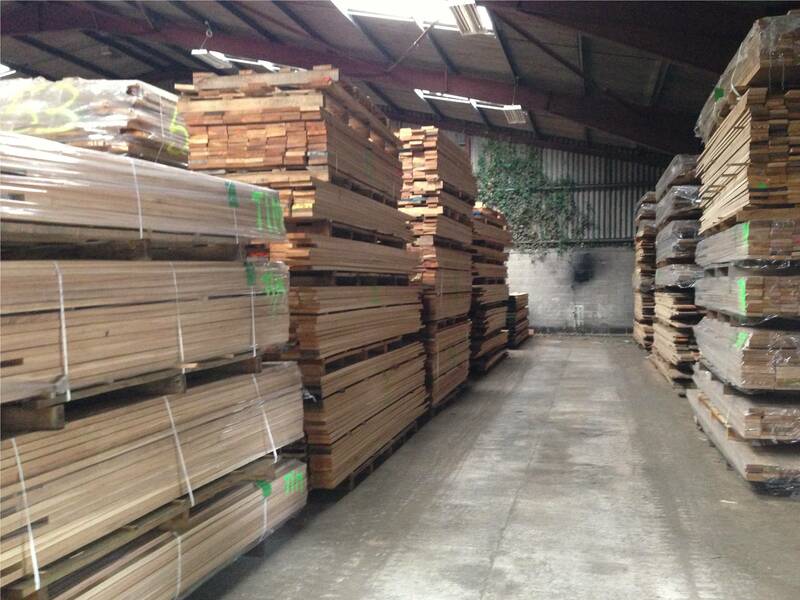 Once you have chosen your timber, order direct from our useful website where we have plenty of stock to choose from. Thanks to our in-house machining, we can have your order produced faster than most of our competition.